Kupus očistiti izdubiti koren i poredjati u bure. U kofu sipati 10 l vode i 250 gr soli dobro izmešati i sipati u bure. To isto ponoviti dok se bure ne napuni. Na kupus staviti pritiskač i odozgo nekakav kamen ili neku težu flašu sa vodom. Pokriti. Kupus treći dan pretočiti i to raditi jos 3 puta svaki drugi dan. Zatim ga ostaviti da se lepo ukiseli. 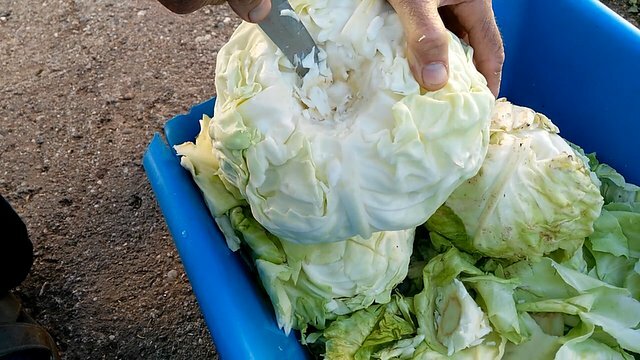 Cabbage cleaned hollow root and stow the wind. In a bucket to pour 10 liters of water and 250 grams of salt, mix well and pour into a barrel. It also repeated until the bure is full. Cabbage and top presser placed a stone or a serious bottle with water. To cover. 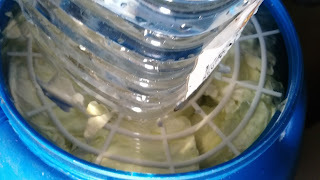 Cabbage third day and transform it work even 3 times every other day. Then leave it to a nice sour.